J.B. Law College or Jnanadabhiram Barooah Law College announces admission for first semester of the LL.B Three Year course for the session 2013-14. 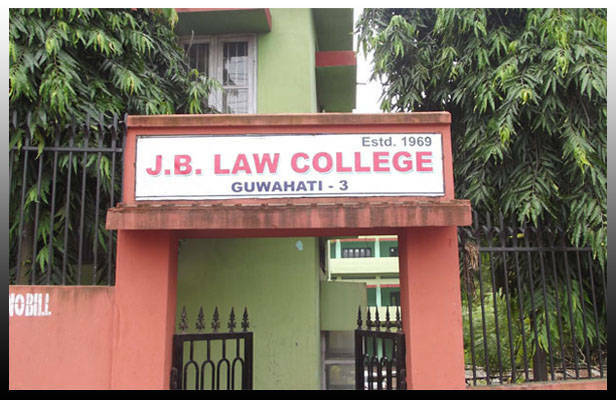 J.B. Law College is one of the leading institution to provide legal education in the North-East India. The College is affiliated to Gauhati University. The J.B. Law College is recognized by Bar Council of India, New Delhi and registered with the University Grants Commission (UGC). Here, you will find all the details of the admission notification for LL.B courses to this College. Candidates must have secured 45% or above marks in aggregate in Three Years Degree Course in Part-1/Part-2/Part-3 in any discipline. Candidates belonging to general category can not apply if he/she has not secured minimum 45% marks. For candidates belonging to SC, ST and OBC category, the minimum qualifying marks is set to 40% but they have to appear in an admission test to be conducted by the College. Upper age limit for the candidates belonging to general category is 30 years and for SC, ST, OBC and MOBC candidates the same is 35 years as on 1st January, 2013. Candidates who have secured 45% or above will be admitted directly on 22nd July, 2013 and 23rd July, 2013 from 10 am to 5 pm on the basis of merit. If some seats remain vacant in the first admission process, remaining seats will be filled up by conducting an admission test on 25th July, 2013 at 12 noon in the College premises. The admission test will be for only candidates belonging to reserved categories. The admission of the selected candidates in the test will be on 29th July, 2013 from 12 noon onwards. Application forms will be issued and received in the College Office during 10 am to 5 pm. Application form can be obtained on Payment of Rs. 500/-. The classes will commence from 1st August, 2013. You did a great job by sharing such a nice information with us. This gives a brief information about the LLB education. To become a lawyer, LLB is the initial step. There are various Colleges in India which offers these courses. Thanks for posting such a information. Keep blogging. hey, thanks for your valuable comments. You are most welcome.